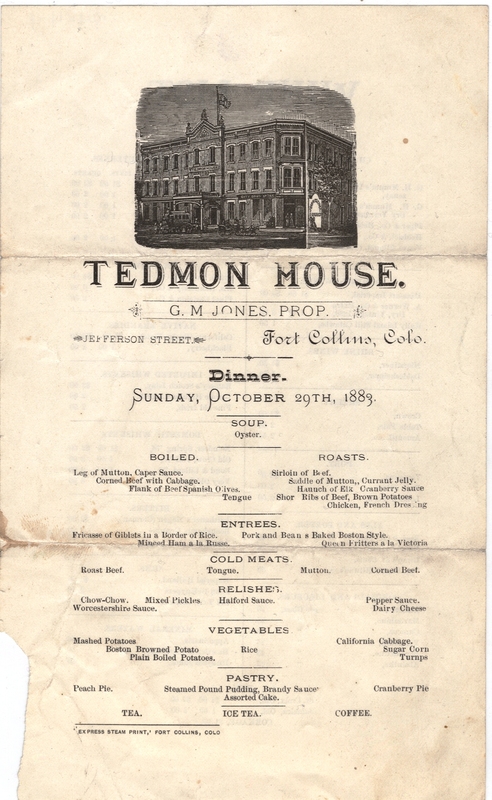 I’m a big fan of the Tedmon House Hotel, which once stood at the northwest corner of Linden and Jefferson Streets in Fort Collins, Colorado. Featured in previous posts, the Tedmon House was an icon in Fort Collins from its grand opening in 1880 until it was demolished in 1910. Luckily, many unique items remain in the collections at the Fort Collins Museum & Discovery Science Center. One such item is this menu for Sunday dinner from October 29, 1883. 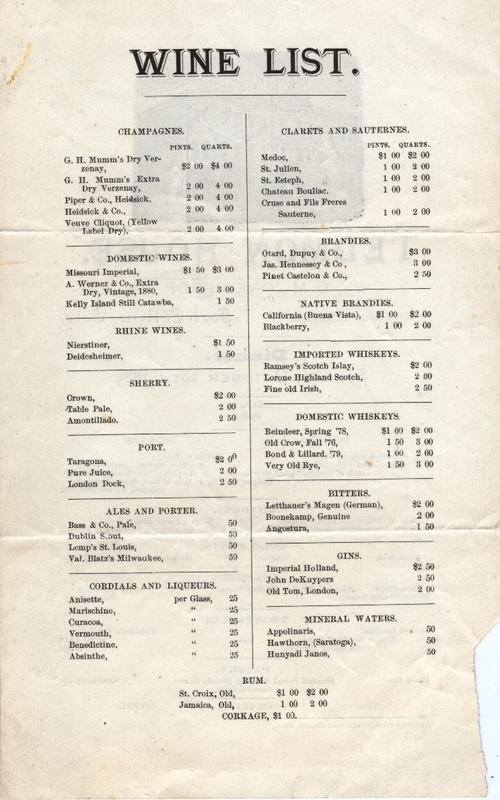 The menu also has an extensive wine list on the back; there are more than just wines featured. Sign me up for the haunch of elk with cranberry sauce, and just some Apollinaris mineral water, please! I’ll pass on absinthe. In case you didn’t know, today is the 50th anniversary of the first manned space flight, and the 150th anniversary of the beginning of the American Civil War. While we don’t recommend that you celebrate by attempting to secede from the Union or launch yourself into space, today is definitely a date worth remembering and appreciating. How to acknowledge the day? Start by following the National Park Service’s Civil War Reporter. Beglan O’Brien, a fictional Civil War era correspondent, is posting daily dispatches on the Civil War as it happens (happened) and you can follow him through the NPS website, Twitter and Facebook. And this evening, why not throw your very own Yuri’s Night party, in honor of Yuri Gagarin‘s first flight into space? Or, combine the two and create a piece of artwork featuring Abraham Lincoln as an astronaut. Oh, wait, someone already did that. A short while back, the Fort Collins Local History Archive received a donation of 17 scrapbooks dating from the mid 1930s to the 1950s that contain hundreds of newspaper articles pertaining to the history of Laporte, Colorado. These scrapbooks were created by local resident Ruth Hereim, who was the Laporte correspondent for the Fort Collins Express-Courier newspaper (later to become the Fort Collins Coloradoan). Most of the articles pasted in the scrapbooks’ pages were written by Ms. Hereim and provide a detailed look at a quarter-century of the goings-on in Laporte. 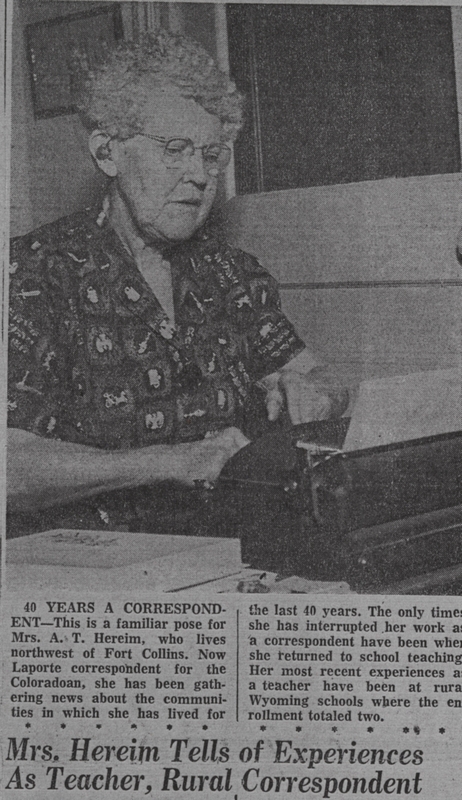 “Some time a history of Laporte could be written from her scrapbooks, which included every local newspaper article relating to Laporte since 1934. Like many older scrapbooks, this collection is in fragile condition and must be handled carefully to avoid chipping the pages or loosening the glued newspaper clippings. For this reason, along with the unique nature of the scrapbooks’ contents, the staff and volunteers of the Local History Archive plan on scanning each of the scrapbooks and placing them on the Fort Collins History Connection website. 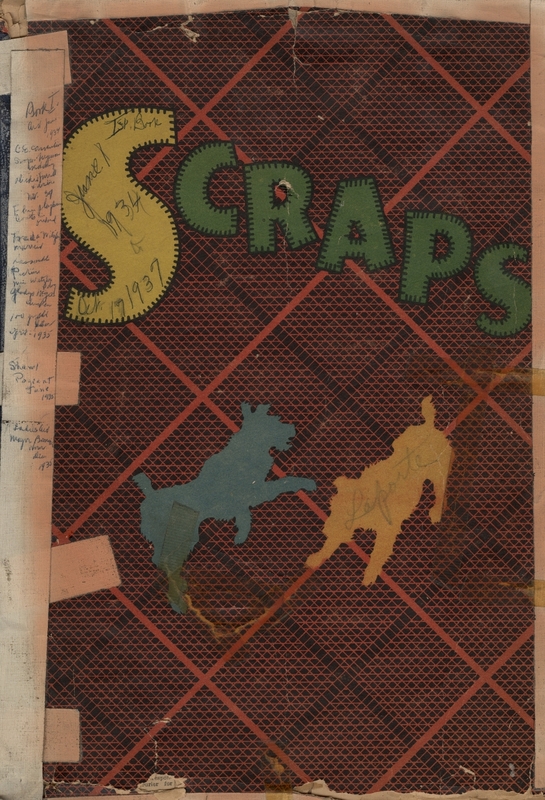 You can view the scanned 1958-1959 scrapbook and virtually “flip” through pages of Laporte history. More to come!